Cozy Mysteries are my absolute favorite genre to read. 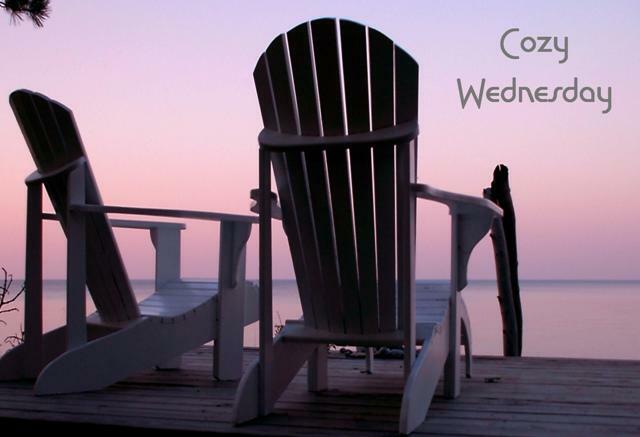 I have set aside each Wednesday as Cozy Wednesdays here at Escape With Dollycas Into A Good Book to feature your books. Cozy Authors: This means I want to feature YOU and Your Books!! I have created this page so you don’t have to wait for me to contact you. You are always welcome!!! Check out the dates below (Wednesdays) and if the spot is open just send me email me and tell me which day you would like to visit. If the Wednesday date is full you can still email me and we will work out another day for you to be my Special Guest. I will then reply with a confirmation and send you a copy of my basic Cozy Wednesday Guidelines (shown below) and we can work out all the details. This way we can book the date well in advance if you wish. I will send a reminder out as we get closer to the date you have chosen. I will still send invitations to fill dates 30 – 60 days prior for any days the remain open. I would like your visits to take place in the month your book releases but am flexible and will work with a you to make things work. Guest Posts can be about anything you wish to write about. If you want to go with something that goes with my “Escape” blog theme you could write about where you “escape” to read or write, or go on vacation. A writer’s retreat or mystery convention you have “escaped” to. Take my readers somewhere with you or one of your characters 🙂 These are just suggestions. See below the dates for more information. If you have any questions just email me. Guest posts can be about anything you desire. Being an author, starting a series, the bumps in the road or a cause important to you. Anything you would like to share that you think cozy readers would like to know. If you want to go with something that goes with my “Escape” blog theme you could write about where you “escape” to read or write, or go on vacation. A writer’s retreat or mystery convention you have “escaped” to. Take my readers somewhere with you or one of your characters These are just suggestions. The length of the post should be 800-1000 words but this is just my recommendation. You as an author know how many words it takes to convey your message. I will leave this up to you, the writing expert. Please include a headshot of yourself and feel free to include any other pictures you would like me to add to your post. I love pictures! Your post should be sent to lori@escapewithdollycas.com at least 10 days in advance of the actual post date. If your book is published by Penguin Publishing I receive 1 (one) copy of your book in addition to my review copy if you are a Cozy Wednesday guest. I give both copies away to my readers. If you are published by another company I try to get a review copy from your publisher but may need your help. I do not have giveaway agreements with any other publishers at this time. I will use any copy received for review as a giveaway prize. I ask my readers to leave comments for authors to earn bonus giveaway entries. Please stop by when you can to answer any comments or questions. All my giveaways run 2 weeks so if you can’t stop by on the actual post date I hope will do so as soon as you can. Cozy mysteries are my all-time favorites. I love helping you promote your books! Suggestions are always welcome. Feel free to share with me anything you can to make your visit to Escape With Dollycas Into A Good Book the best experience possible.